Are you heading out camping with your family soon? 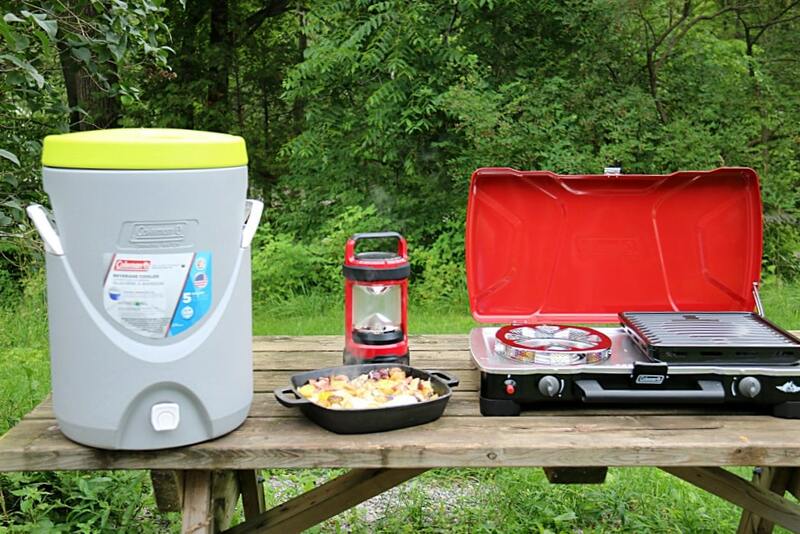 Check out our list of Must Have Camping Kitchen Gear as you get started planning! 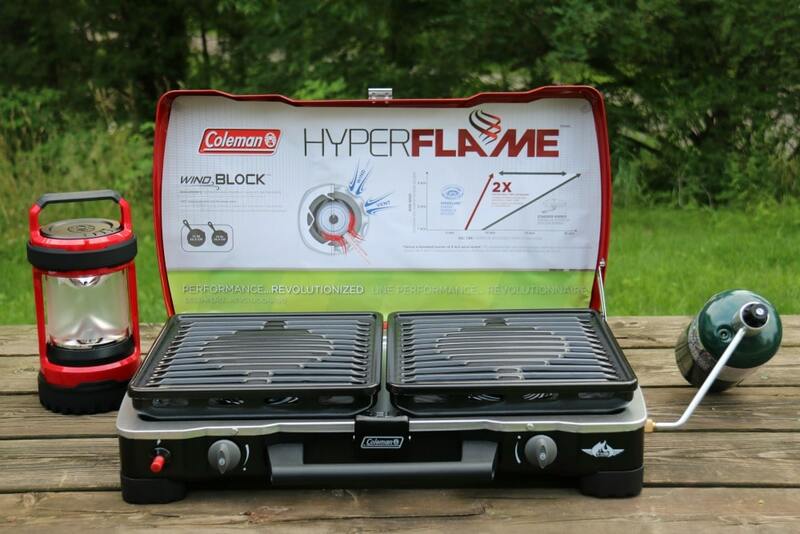 We love working with Coleman Canada, and know that they make the best products for camping. 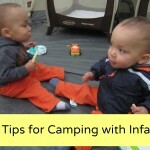 When we plan a camping trip, there are a few things we just can’t travel without. 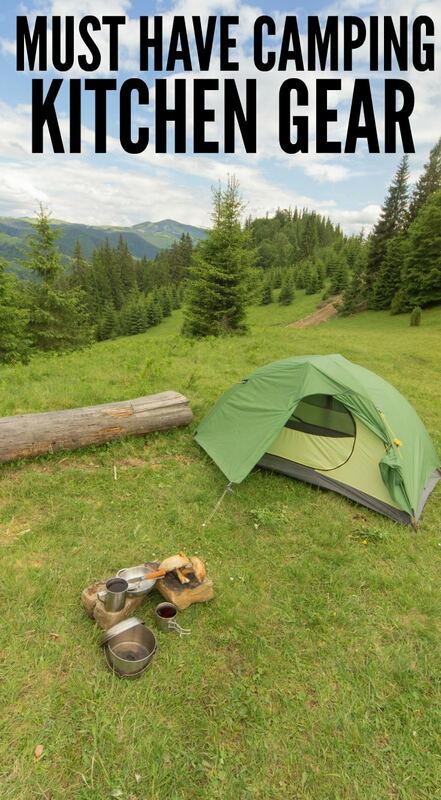 When it comes to heading out into the woods or a campsite, these items are a must. Check out our list below! Of course, a lantern is a must for any camping trip, but I always add an extra one to our camping kitchen gear. You never know when the kids will fall asleep before you, and those snacks call your name. I never want to leave the kids alone in the tent without a light, so, having an extra one in the kitchen area is a must. These are just simply, the most durable, easiest to handle, and simple to clean design I have found. You have to cook on something, and frankly, with kids in tow, I don’t want to cook over an open flame that much. It’s a bit more dangerous than I prefer on mornings before I have had my cup of coffee. So, this is my preferred option. It folds down flat for easy transport, has matchless lighting, and connects easily to my can of fuel. It is much like a larger gas grill I would use at home for grilling steaks. So, I feel comfortable using it and know that it will fit on the picnic table or any smaller surface for cooking our meals. Plus, it has traditionally sized burners, so I don’t have to buy extra special camping pots and pans unless I want to do so. The Wind block really makes a difference when lighting and staying lit. Plus it just feels so much safer and easy to use compared to old pump fuel camp stoves I grew up with. Plenty of water is a must, and carrying along a ton of water bottles don’t always work. I much prefer filling this up at home (cheaper) and taking along in the back of the car. It can sit on the picnic table, or even stay in the back of the van for easy access. We can refill our water bottles directly from this. The antimicrobial lining keeps mold from growing, so we know the water is safe for drinking. When planning meals for your camping trip, you may want to focus on making sure you don’t have leftovers. Ideally, you will have just enough for each meal, so you won’t’ have to worry about storage. However, should you need to store leftovers, or ingredients to prepare meals, taking along plenty of storage options is a must. I tend to rely on classic large plastic storage bags for most items, but if it needs a container, I will grab inexpensive ones from the local discount store and use them just for the camping trip. Of course, every camping kitchen needs to have ingredients for the classic treat. Make sure you pack your chocolate, Graham crackers, and marshmallows to make the ultimate camping dessert! 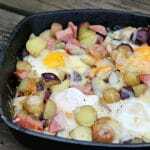 Also check out our popular camping recipes for camping food inspiration. 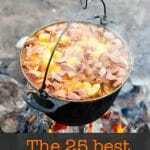 These are the items on our list of must have camping kitchen gear items. What are yours? Disclosure: Coleman provided us with the Beverage Cooler, FyreSergeant and Lantern to help facilitate our review. As always, all opinions are our own. This is a fantastic list of items. A water jug is a necessity for me as I always get so thirsty and a big jug will ensure I always have fresh water. It will also remind me to drink lots when I am out in the heat. Great list! 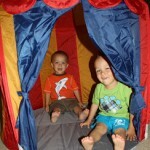 I have been camping since I was a little girl and my family has always relied on Coleman for our camping gear! Yes! They always have the best camping gear – so reliable. My Dad still uses his Coleman sleeping bag that is at least 30 years old! I’m totally with you on that lantern. Late night potty trips from the tent are super stressful for me. I HATE THEM. This helps! I think we still have an old green Coleman stove somewhere in the garage. I bet it is close to thirty years old and would still work to. Great camping products. The absolutely are! Truly long lasting and work great when you need them.